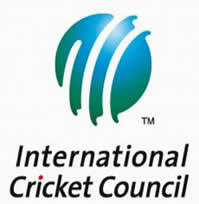 The ICC; Time For Change? Evidence is mounting that the standing of the International Cricket Council (ICC) amongst cricket players, fans, punters and commentators is rapidly diminishing, even from its already not-so-lofty perch. Although it`s tempting to give an organisation tasked with running cricket some leeway, particularly one as bureaucratic as the ICC with its myriad sub-committees and closed-door ruminate-a-thons, several recent events have forced its moral capital into the red. Of late the ICC has been the subject of many more column inches for the wrong reasons as its range of motion, politically-speaking, has begun to resemble that of a person with a bi-polar depression, flitting effortlessly between inaction, face-saving and appeasement. Almost everyone has a queasy feeling that, despite their protestations to the contrary, the ICC hasn`t been taking their meds and will soon require an intervention because one wonders whether they`ve just gone completely insane. The issue of Zimbabwe cricket has permutations that are yet to become apparent. Described as a `win-win` situation by Ray Mali, Zimbabwe faced the situation where, having been censured by the UK government for alleged human rights abuses perpetrated by the Zimbabwean government, their players were to be denied visas for the up-coming Twenty20 world championship. If Zimbabwe was to remain a playing team, the ICC probably would have moved the tournament elsewhere, a financial disaster for the ECB. Instead, Zimbabwe was convinced to withdraw their team in the `wider interests of cricket` and, with the support of India`s cricket board (whose position regarding Zimbabwe remains suspect considering their historic support of cricketing sanctions against South Africa), retains its status as an ICC member, voting powers and secured funding, despite not playing a match. Two independent audits by corporations such as KPMG have raised serious doubts regarding the use of money given to ZC by the ICC yet they continue to have a voice (and vote) at the ICC table. ZC and the Zimbabwean government, fiscally-speaking, would appear to be more closely associated than they claim. The decision regarding what to do about Zimbabwean cricket, for business or moral reasons, was avoided by the ICC and instead left in the hands of member countries to act in self-interest, as India did in securing Zimbabwe`s vote for future decisions. In a startling turn of inaction, a sub-committee has been formed to get Zimbabwe back into Test cricket having had their status revoked due to their standard of playing not being good enough. Yet their status as a competitive one-day and Twenty20 team remains. It`s unclear what metric is being used to decide that their Test play is unacceptable and their limited-overs play acceptable but considering they are placed lower on one-day international rankings than Ireland, an associate member, the formation of said sub-committee to get them back playing Tests when they probably shouldn`t be playing international cricket at all seems entirely questionable. If not avoiding action, the ICC takes action that causes so many eyebrows to rise, the orbit of the Earth is momentarily disrupted, only righted again with the breaths of millions containing the follow-up question, `Why?` The ICC decided to change the result of a Test between Pakistan and England at the Oval in 2006 from forfeit to draw after years of lobbying from the Pakistan Cricket Board (PCB). The ECB did not oppose the move in a clear overture for support had the Zimbabwe issue gone to vote (that the series had already been won by England would have played no small part in their ambivalence) and although not voted for by other countries, the decision was passed and the result changed. The ramifications of this may well be huge; it was the only forfeit in Test history and, even if the Pakistan players felt aggrieved by accusations of ball-tampering, actions such refusing to walk onto the field are, in effect, holding the game to ransom and were correctly punished with an automatic forfeit of the match. The consequences to Darryl Hair, one of the umpires, was removal from and subsequent re-instatement to the elite umpiring panel and Pakistan were eventually cleared of ball-tampering due to lack of evidence. The decision by the ICC to change the result from forfeit to draw, however, is egregious as it essentially sanctions Pakistan`s decision to not play with their vindication coming from the aforementioned annulment of charges against them. If upset by an umpire`s decision, any other team now has relevant precedent to avoid punishment for refusing to play, despite the ICC`s assurances that this was a one-off. Aside from this, what practical purpose did such a decision serve? The PCB gained the most out of it but only in terms of their public face because the series remains lost and the match not won. Michael Holding has resigned from the ICC in protest over the decision and it`s easy to see why. A meaningless decision to change a meaningless result merely to save face for one member board. Then again, considering the ICC`s predilection for superficial face-saving, this decision shouldn`t be much of a surprise. Clearly the players are getting sick of it all too. As detailed in a previous Cricket Web article (click here to read ‘Growing Unrest’) , players livelihoods are being determined by a board of voting nations determined to vote along lines of self-interest, with all associated back-room lobbying and alliances, rather than what`s best for the sport. It`s an untenable situation and eventually, the players won`t merely threaten to pass a no-confidence motion against the ICC and, without the confidence of the players, the ICC`s position as decision-makers struggles for a strong basis. The treatment of Malcolm Speed, who dared to speak out-of-turn on Zimbabwe, has put many dissenters on notice and undermined confidence in the ICC amongst the playing group too. The organisational structure of the ICC is in desperate need of a substantial shift. All decisions mooted by the executive leadership must first pass muster in the mini-United Nations (with all associated negative connotations) that is the Chief Executive Committee which is comprised of the chief executives of voting boards from representative countries. Considering the demonstrated history of the Chief Executive Committee, it would better the game to support the formation of an independent executive committee which isn`t as beholden to self-interest as country board members have demonstrated they are. The current structure promotes either decisions taking too long to be made with troublesome consequences, those which benefit only very few and not the ICC and cricket as a whole or the decision to make no decision at all. Enough is enough, remove the chief executives board and pay proven decision-makers to do their job. Let board CE`s lobby any executive all they want to for decisions but an independent executive board, accountable to their shareholders, will remove much of the indecision that plagues the ICC at present. Australia’s T20 World Cup Campaign: He’s dead, Jim.